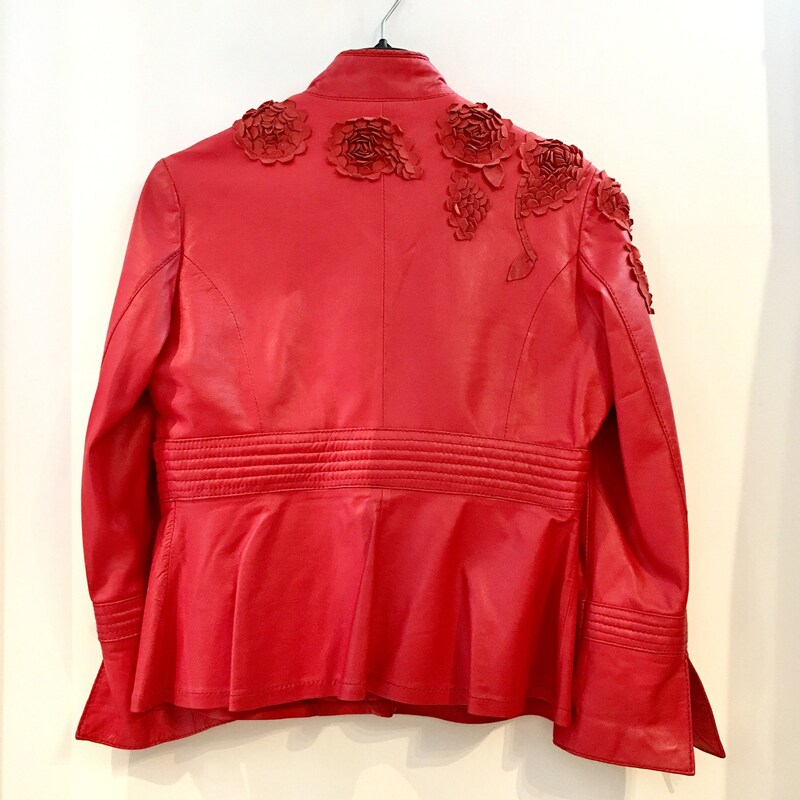 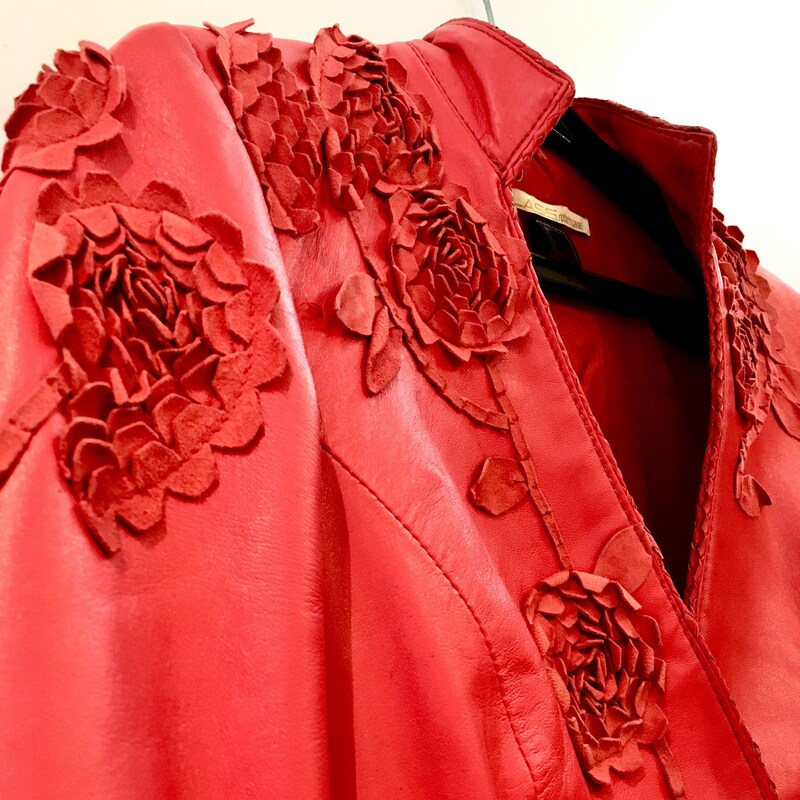 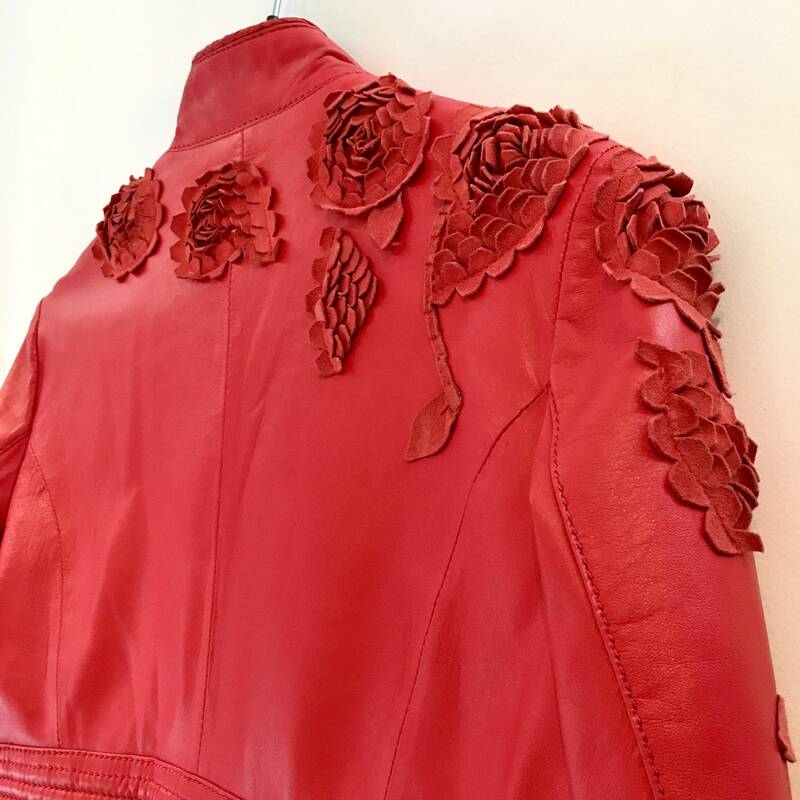 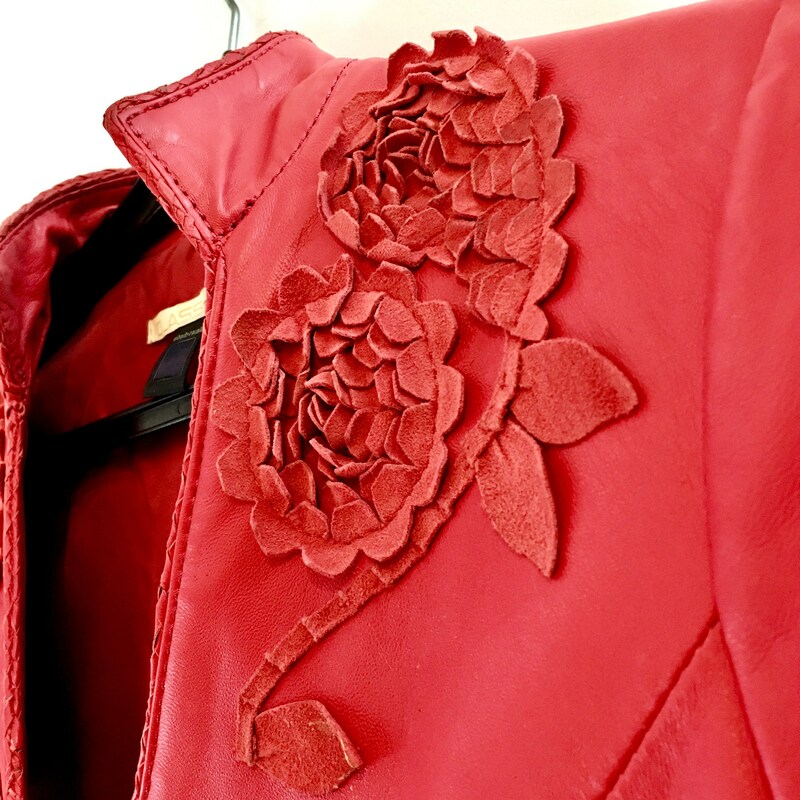 Leather jacket red Roberto horses with application of flowers in the skin on the front and back. 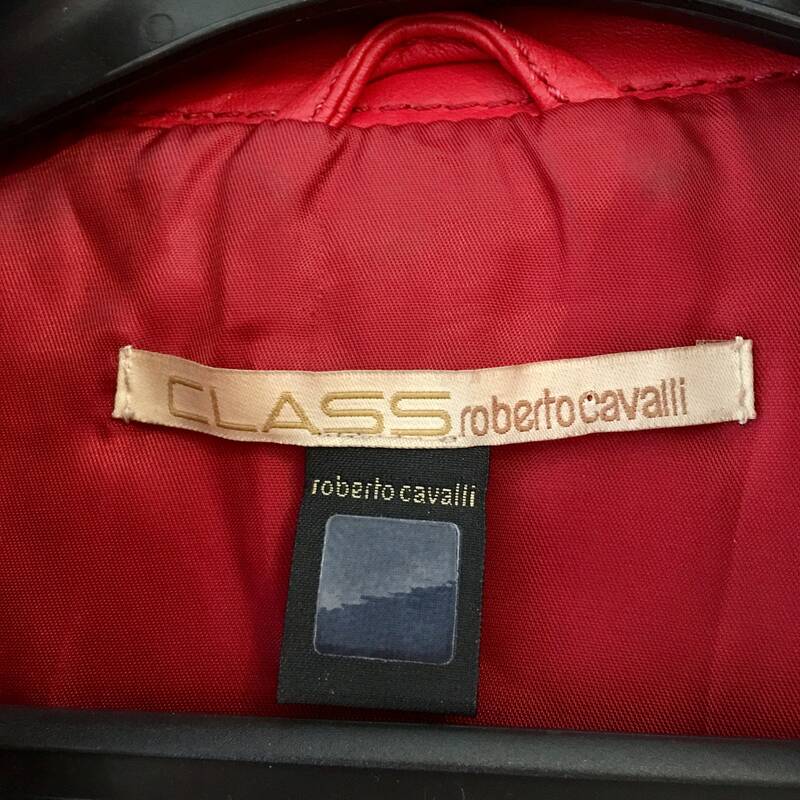 Size 40. 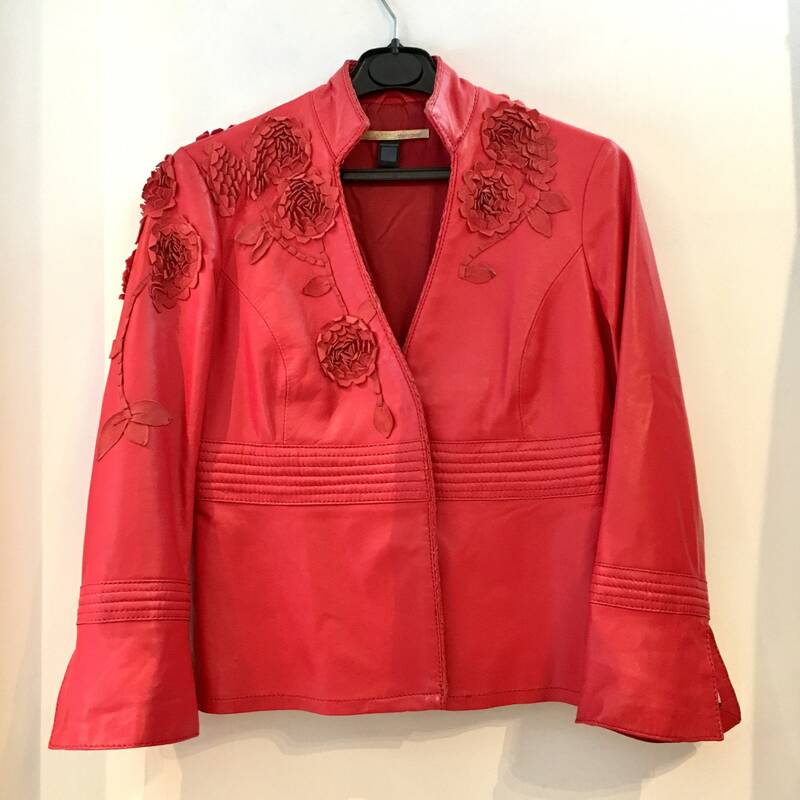 Very good vintage condition.